THE FACTS – On the morning of Tuesday, November 6th, a group made up of family members of political prisoners, human rights defenders and members of the Nicaraguan Center for Human Rights (CENIDH) were outside the Managua Courthouse, where a hearing for political prisoners Medardo Mairena and Pedro Mena was to take place. The group was subjected to intimidation by the anti-riot squads of the National Police and other State security forces that impinged on their legitimate right to protest and their rights to freedom of expression and mobilization, forcing them to leave. 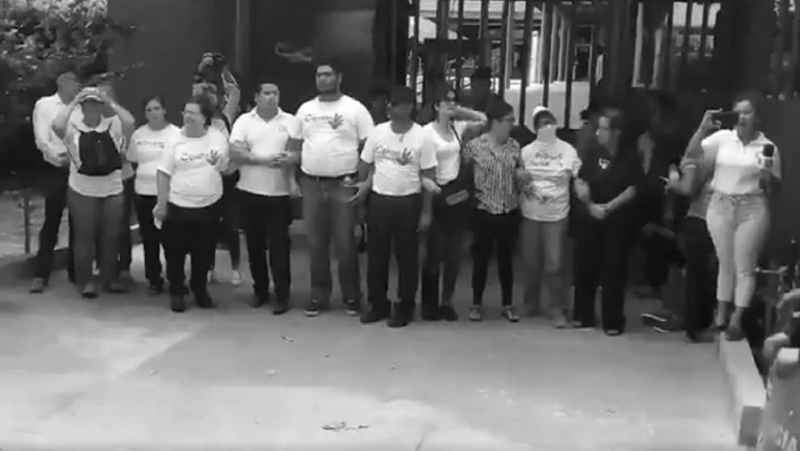 Among the CENIDH members present were Vilma Núñez, Marlín Sierra, Gonzalo Carrión, Braulio Abarca, Salvador Lulio Marenco, Wendy Quintero, Juan Carlos Arce, Humberto Díaz and Juan Carlos Rojas, as well as women defenders Mirna Blandón, Marlen Chow, Ana Margarita Vijil, Tamara Dávila Rivas, Mayra Sirias, and family members of political prisoners. 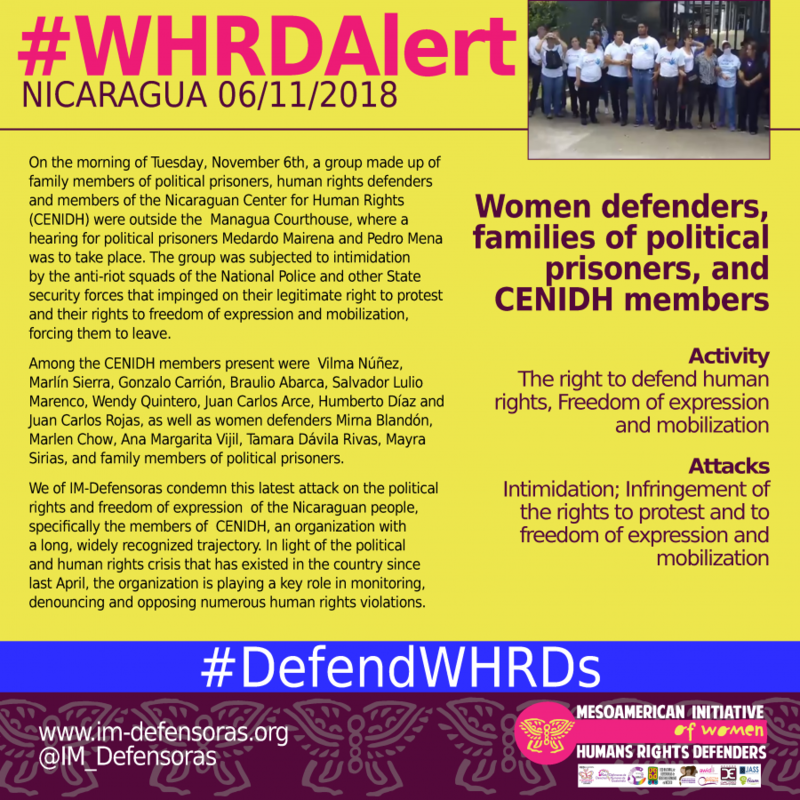 We of IM-Defensoras condemn this latest attack on the political rights and freedom of expression of the Nicaraguan people, specifically the members of CENIDH, an organization with a long, widely recognized trajectory. In light of the political and human rights crisis that has existed in the country since last April, the organization is playing a key role in monitoring, denouncing and opposing numerous human rights violations.